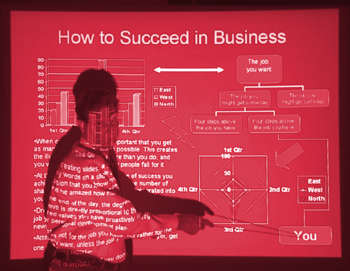 How inspirational are your PowerPoint slides? Used well, PowerPoint slides should be simple, clear and effective. They should support the presenter as well as reinforce the message for the audience. At their best, they can turn an ordinary, everyday presentation into something much more memorable. How do your PowerPoint slides measure up against these criteria? The first 10 readers to respond to this offer by clicking the link below qualify – you will receive a return e-mail with confirmation. Once you have received confirmation, send us your own PowerPoint presentation (preferably less than 5MB please) to the e-mail address shown in the confirmation mail. Our offer includes returning to you an optimised version of your original PowerPoint slides. You will then be contacted and asked to select a time for a 30 minute phone call with one of our expert Associates. You can expect the feedback on your slides to cover such things as: layout and design, font style and height, choice of colours, headlines, use of bullet points, impact of graphics etc. During the coaching session, you will have the opportunity to ask questions and learn new ways of making your slides really work for you. Don’t delay if you want to take advantage of this fantastic opportunity to make your presentations sparkle. To be one of the first 10 readers to respond, send an email with the subject “Powerpoint Coaching” to info@thetrainingbox.eu.com, including your contact telephone number.